Instagram Checkout - huge business potential or a danger for eCommerce? Instagram was created to inspire users by sharing very aesthetic photos (mainly food and fashion outfits), but that’s old history. With the newly-launched Instagram checkout it has turned into an impactful sales tool, so let’s check how it affects eCommerce. Instagram is a serious game-changer in the eCommerce industry. The portal has more than 1 million monthly advertisers and 8 Million business profiles. What is more, Instagram’s mobile ad revenue is expected to hit $7 billion in 2018. Just in March 2018, Instagram introduced the shoppable post option, which facilitated the purchase of the product directly from the app. This involved redirecting the Instagram user to the brand’s website, where he or she sometimes needed to register or create a new account. This step could be quite exhausting over a longer period of time or many users (just imagine a situation where the user wants to buy something from three different online stores and has to register in each of them). Instagram responded perfectly to this problem and their move seems to be very natural for the platform. Now there’s no need to click out to a retailer’s website to make a purchase. The app introduced an amazing new feature – Instagram Checkout. Instagram Checkout – how does it work? After viewing a product from a brand’s shopping post, the user sees a “Checkout on Instagram” button. The only thing he has to do before closing the basket is select the size or color, and then he automatically proceeds to payment without even leaving the Instagram app. The most demanding step for the user is the first one as he must enter personal data such as name, email, billing information and shipping address. This data will be remembered so that every next transaction is extremely fast. When you see a product that you love, you can now buy it without leaving the app. Social commerce has never been so easy! Instagram Checkout – Simple. Convenient. Secure. Instagram has dramatically shortened the buyers’ journey from product discovery to the purchase phase. The entire path from getting inspired to getting the item will be much easier and super fast. 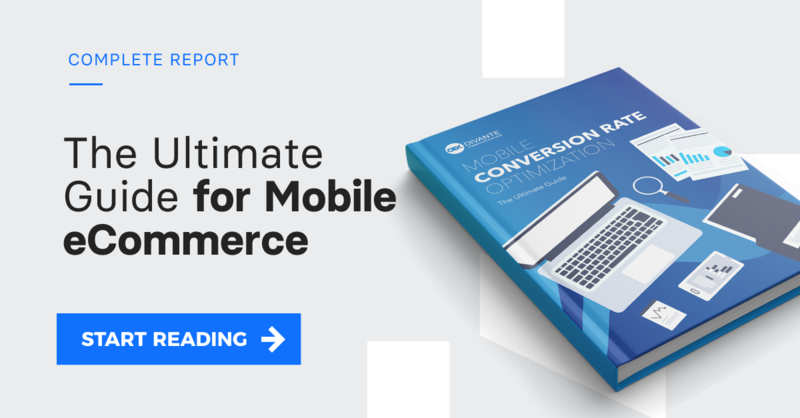 This can be a crucial step in decreasing the mobile gap in eCommerce. What’s more, there is a massive difference between the number of people using traditional eCommerce sites and social media platforms. Research says that we usually spend about 142 minutes per day on social media, whereas only 8 to 10 minutes in online stores. While browsing social media for hours, the user can simultaneously make a quick purchase without expending any additional energy.. This seems like it might be killing our wallet, but it’s a dream situation for retailers. Shopping directly in the app reduces the user’s effort to a minimum, impacting the typical not-so-smooth shopping experience. Instagram checkout ensures maximum comfort through convenient payment methods and gets rid of all the intermediaries. The key value offered by Instagram Checkout is saving merchants from abandoned shopping carts. Frustrated users leave them when they have to sign up separately with each different brand. For now, Instagram’s new feature is available only to U.S. users. In the trial version, there are 23 top brands participating from the fashion and beauty industry such as Zara, Burberry, H&M, Mac Cosmetics or Kylie Cosmetics. Retailers will be required to pay a “selling fee” but the exact cost is not known yet. Instagram Checkout – huge business potential or danger? Instagram reports that the number of users who tap on product tags in the app every month has rapidly grown from 90 million last September to 130 million now. Some may say that there is a risk that platforms that help to build online stores for businesses could be hurt by Instagram’s checkout but I think that this move is only going to help support brands and businesses. Brands, and their online platforms, will not suffer from this move and, what’s more, they may even benefit from it. Online stores and the new Instagram function combine the common goal of increasing conversion leading to increased product sales. When both sides are mutually supportive, this will increase the profits for each of them. Of course, there are a few significant drawbacks to using the new feature. Customers who purchase goods through Instagram Checkout are Instagram’s customers, which means that brands are not guaranteed that they’ll be able to receive customer email addresses. This could be a huge price to pay for retailers. What’s important is that Instagram Checkout cannot replace traditional eCommerce shops. Brands similar to each other will not be able to stand out using Instagram Checkout and have an impact on the unique shopping experience in a single marketplace. Instagram Checkout can significantly contribute to the growth of a company’s turnover, but you can not forget about shaping and improving the shopping experience on your website. We can wonder if, after adding a new shopping option, Instagram will lose its current main feature which was an extremely aesthetic canon of photos. There is a risk that it will become more a gallery of storefronts that pressures the customer to buy the product. Will Instagram lose what has been its greatest value so far, or will Instagram Checkout harm the aesthetic conventions of the application? This puzzle will soon be resolved. One thing is sure: the new Instagram feature is social selling at its best and is leading to an absolute retail revolution!